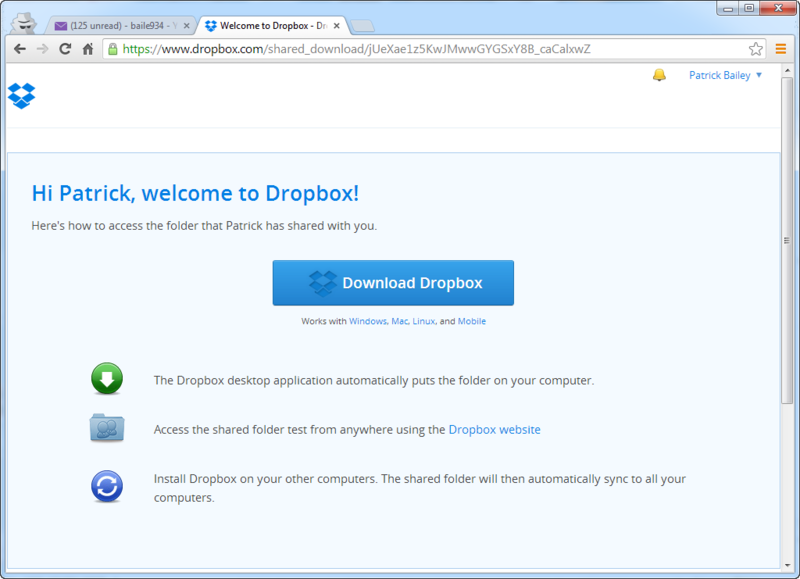 I have been a passive user of dropbox, for the past few years… Someone shares a drop box with me and I set it up to connect from my desktop and forget about it. This write up will see how this question can be answered, also I will set up a new drop box account. You can think of Dropbox as a shared hard drive in the cloud. You can put your files in it and access them via the web or other tools, you can also share your drop box with other people. There are corporate accounts you can share with a large team, etc. 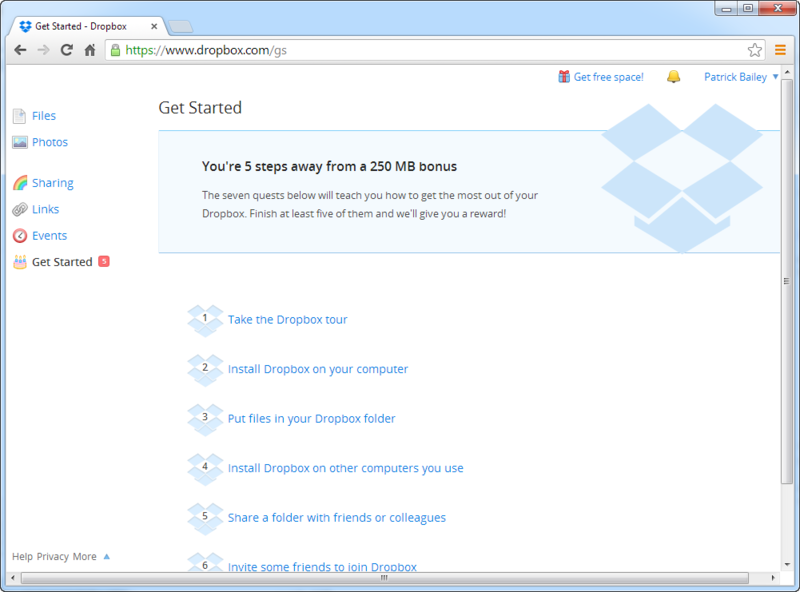 Dropbox offers a free account but limits it to 2 GiB of data. I am on a Win 7 machine. DropBox auto downloaded an Dropbox executable file. I imagine on a Mac machine it would download an OSX compatible installer. For the moment I will not use the installer, I will use the web site. 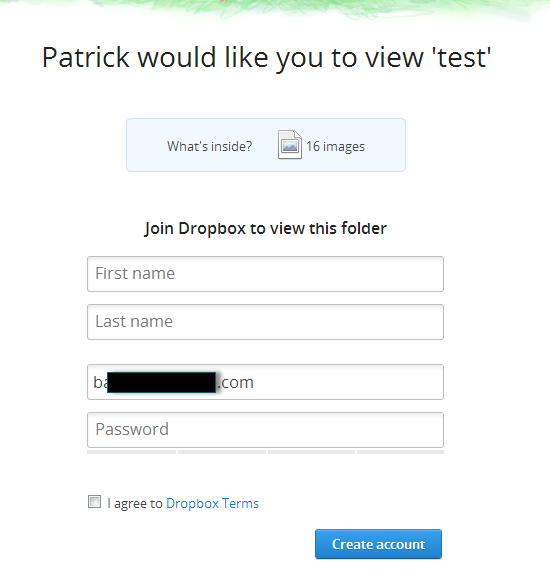 Here is the login page I see. 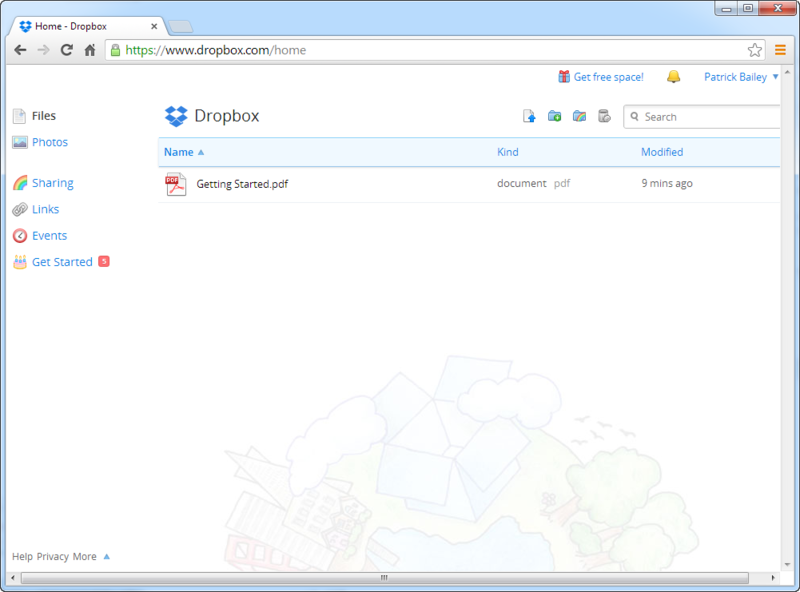 Create a folder and put some documents in it. 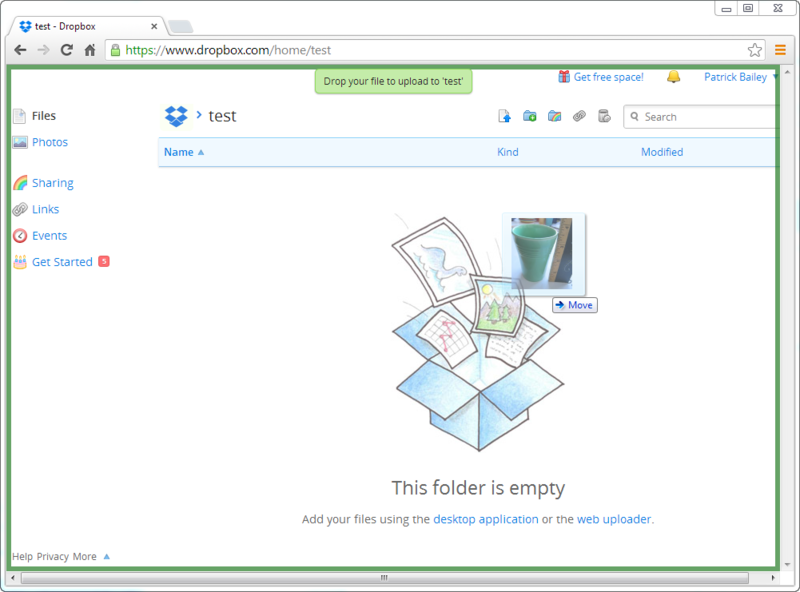 Here is my dropbox folder. Looks like I have a GettingStarted.pdf in my Dropbox folder. 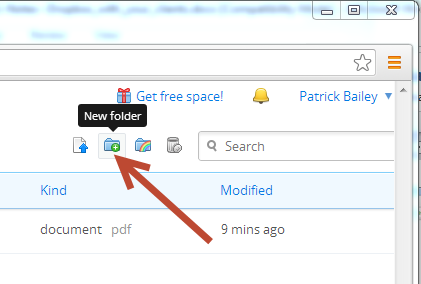 Click on the New Folder icon. 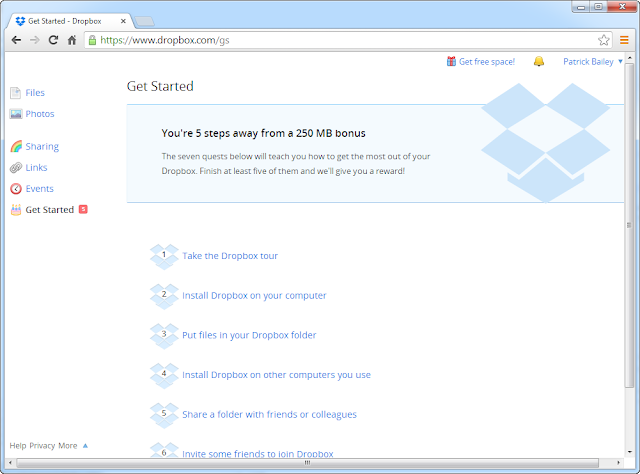 It looks like the Dropbox site supports dragging and dropping of files into it. Here I grabbed a file from my computer and dragged it over the Dropbox web interface and dropped it. It also supports uploading multiple files at the same time. I dragged and dropped 8 files at once, it takes a little bit to upload them all. You can see the progress at the bottom of the screen. 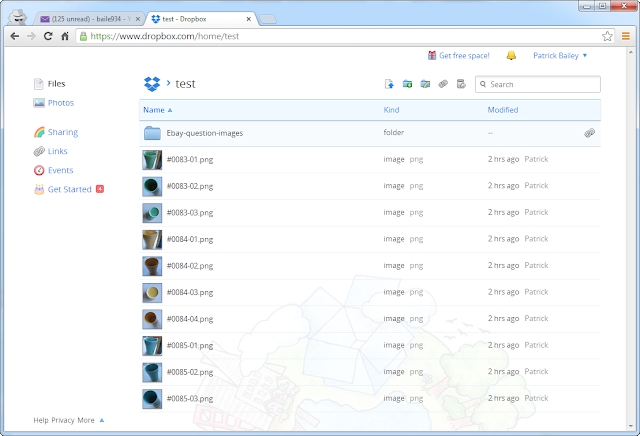 For example in this picture it shows 7 files left to upload. As a test I tried dragging and dropping an entire folder that itself contained files. 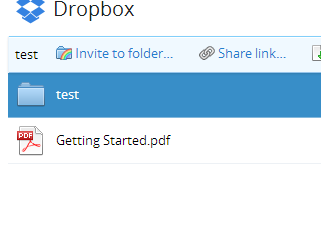 It created the folder and uploaded all the files correctly. 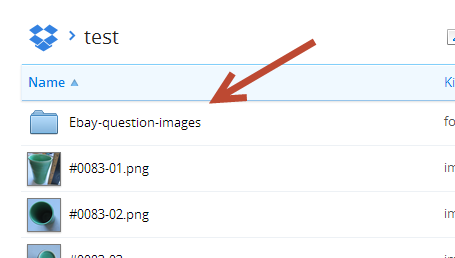 OK, I have some files in a folder how do I share them? 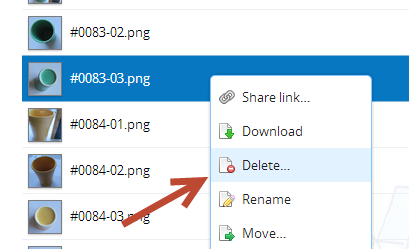 First lets go over "Share Link"
Right click on a folder and select "Share link…"
A new window opens that shows all the files and subfolders in this folder. 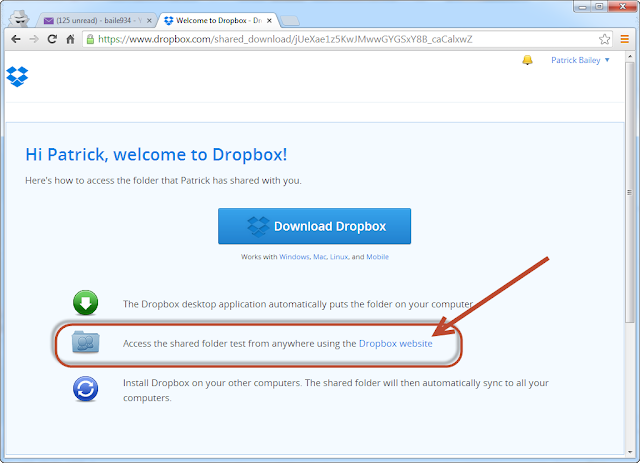 Click on "Share" in the upper right to share all files and folders in this folder. 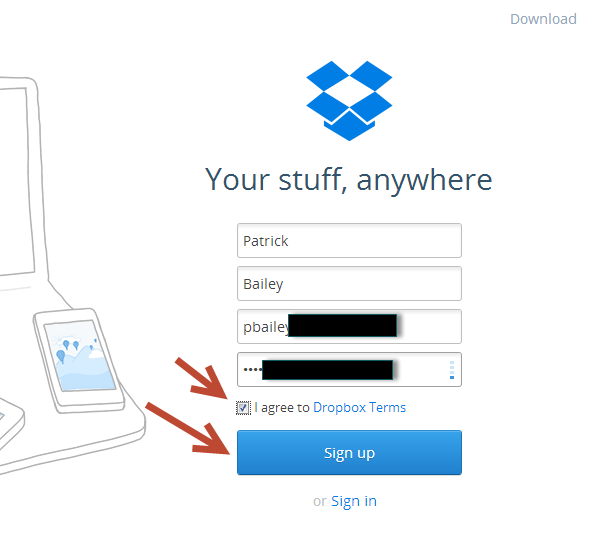 Dropbox needs to verify you. Click Send email. 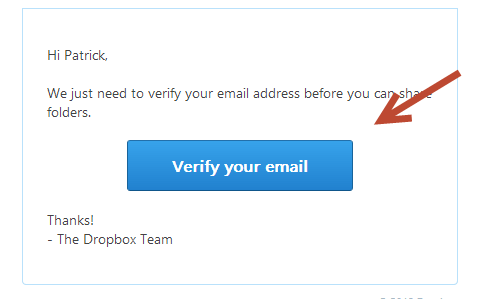 Check your e-mail and click Verify you email. 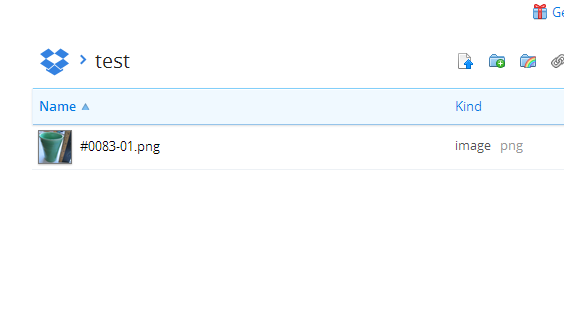 Enter the emails of the people you wish to share this folder with and click send. 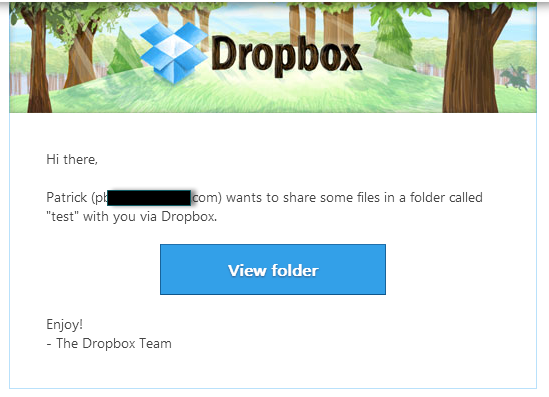 The user you sent the email to will now get a unique URL sent to them that they can use to open this folder via a web page. 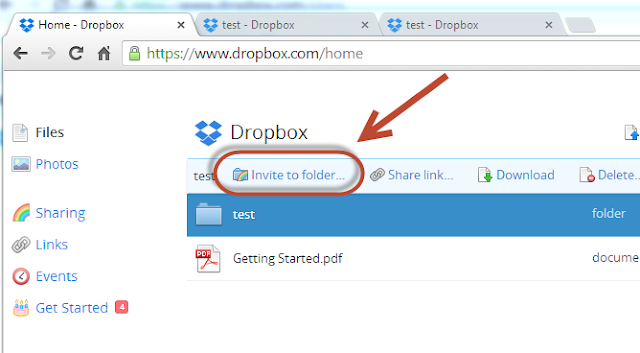 A new tab will open that is the folder you shared. 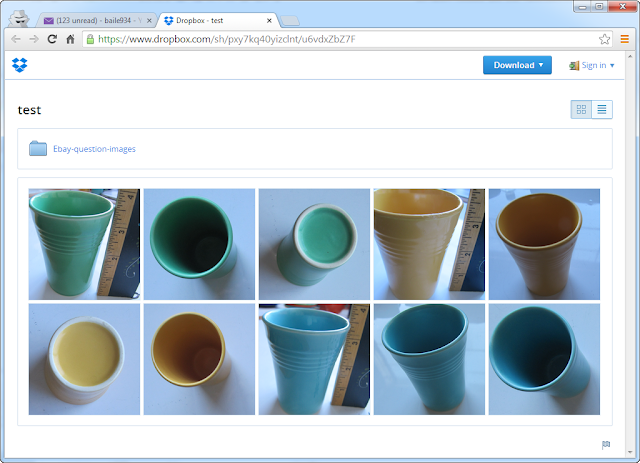 The client can view or download any file. The client could click on Download and select Download as .zip to grab all the files at once. 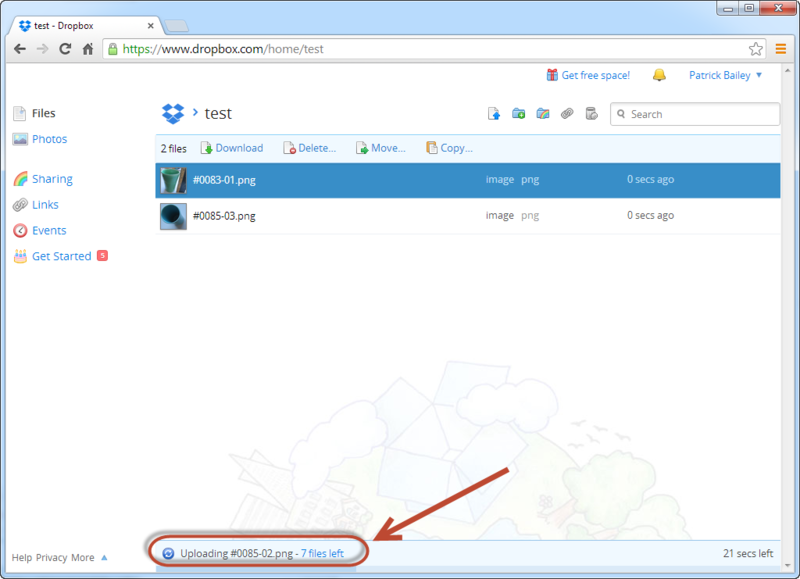 This link allows the client to see and download the files, but they cannot delete, edit, or add any of their own files. 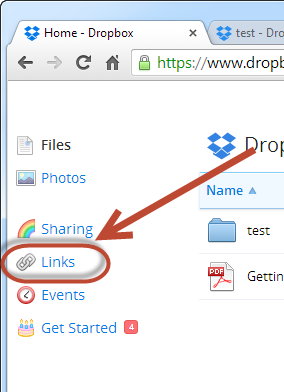 As long as the link is shared anyone who has the URL (address) can open it up and view the shared files. 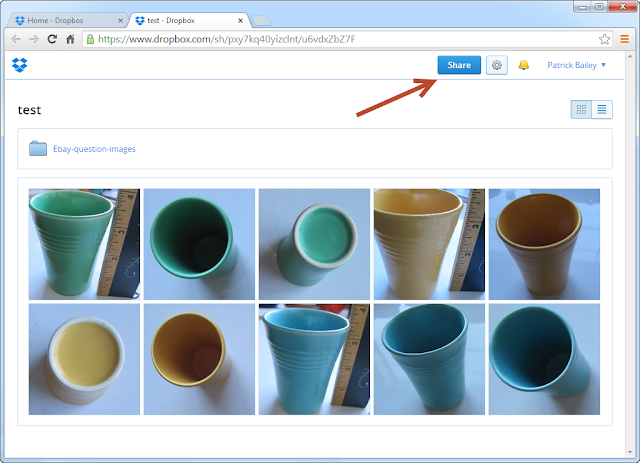 All your shared links will be displayed, what is shared and when it was created. 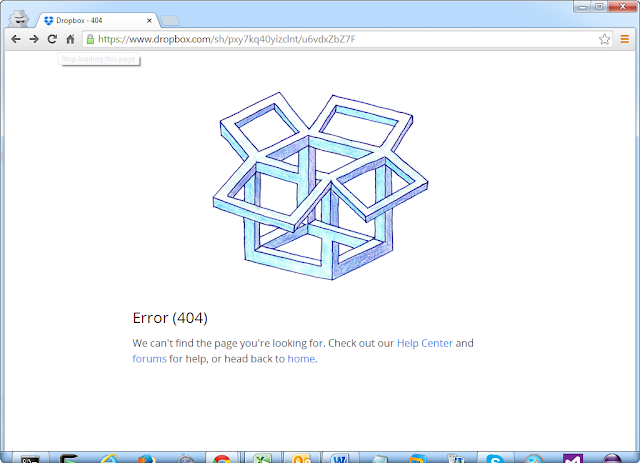 Now going back to the same URL gets you a 404 error. 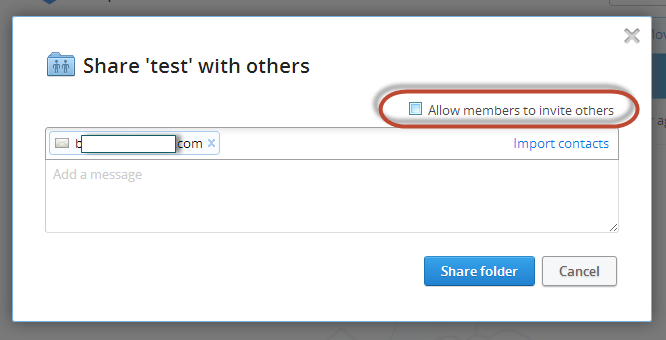 What about inviting people to a folder? 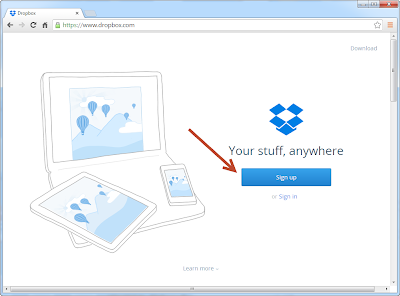 What is the difference from sharing? 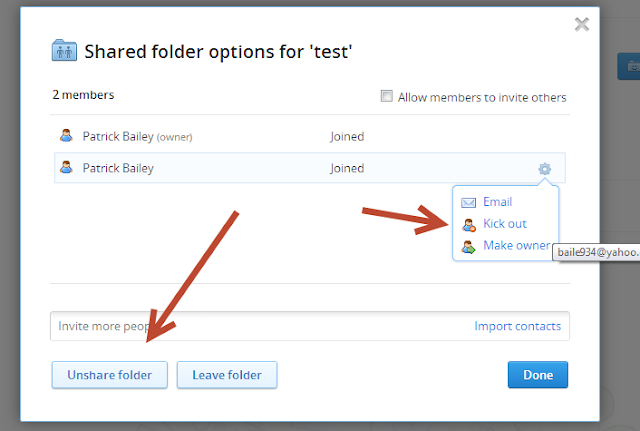 The big difference is an invited user has permission to edit files and folders in the folder you invited them to. 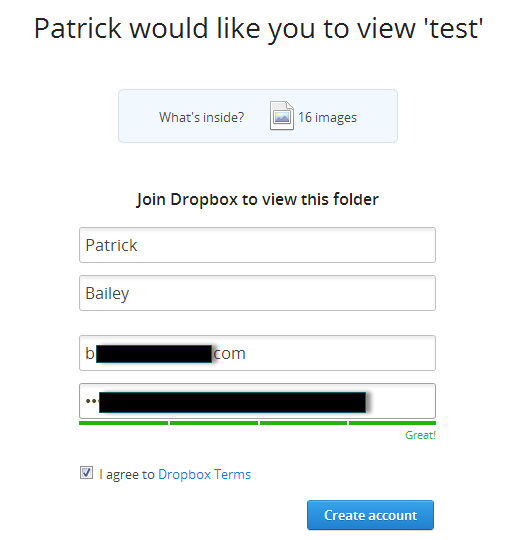 Enter the email of the user to share with. Uncheck "Allow members to invite others" Since we do not want to give them the permission to share you folders to a third party. 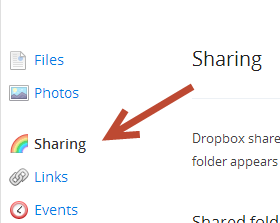 The folder now says it’s a shared folder and the icon for the folder has changed to indicate it is being shared. The invitee will get an email like this one. They need to click View Folder. The client will see this. 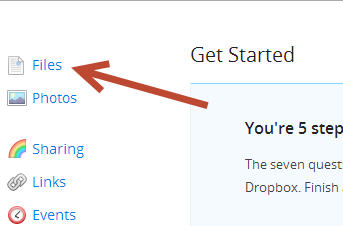 They need to login to their own drop box account or create a new one so they can view the contents. 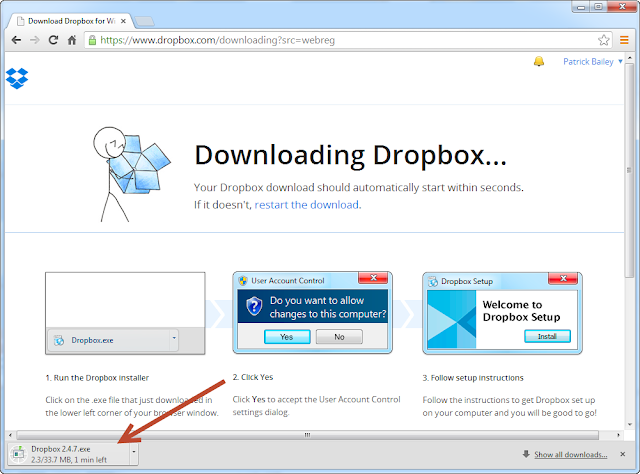 I filled out the information and created a new account and clicked "Create Account"
To access the files via the Dropbox web site they need to click on Dropbox website. And now they can see the folder and all its contents. As a "Shared" folder this "invited user" is free to delete, modify, or add files. So make sure you want them to have this level of priveleges before you "Share" a folder or file with someone else. 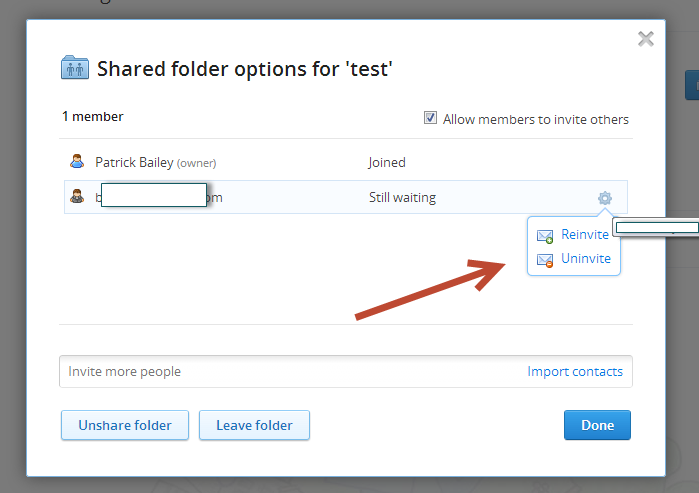 You can click "Unshare Folder" to no longer share the folder with any other user. Or you can, alternatively, click on any user and click "Kick out" to unshared with that particular user. Also from this page you can invite more people to share the folder with. As a side not, If you invite someone and they have not yet accepted that invitation you will see that they are in the "Still waiting" state, you can still uninvited them.